JAIMZASMUNDSON.COM: "Goths!" Screens at MUFF! The 6th annual Montreal Underground Film Festival presents 3 nights of wild and wooly short films from around the world at various venues around the city on May 12-14. The fest kicks off with a lineup of 8 short films, plus the World Premiere of Mario DeGiglio-Bellemare’s Main Attraction, about a magician and his resident freaks fending off an eviction from their home. DeGiglio-Bellemare is a member of the Montreal media arts collective Volatile Works and features special effects by underground artist Rick Trembles and Andy Mauro. Also in the Opening Night kick-off is the not-to-be-missed hilarious music video Goths! On the Bus by Karen & Jaimz Asmundson. Then, the fest continues on the 13th and the 14th with several programming blocks of short films hailing from Canada, the U.S., Germany, the Czech Republic, Serbia, Finland, the U.K. and other countries. Some standouts in the fest include Zachary Epcar‘s retro-futuristic look at people disconnected from their urban environment, A Time Share Unlimited; Leslie Supnet‘s quietly introspective animation How to Care for Introverts; Kevin Lonano’s dark and surreal circus romance Carny; and his brother Brian Lonano‘s low-fi sci-fi hit Attackazoids!. 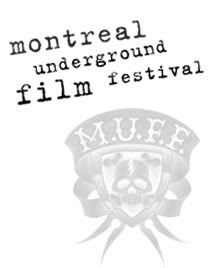 For more info, including screening locations, please visit the official Montreal Underground Film Festival website.